Kitchen design can be an expensive and time-consuming process. Yet, transforming your kitchen does not need to cost a lot of money as a Decorilla client discovered in this fun kitchen design transformation project. With the luxury of selecting the right design from various proposals within budget, the client received a design package with guiding steps from Mladen, his designer, and recommended shopping list from discounted online sources, saving both time and money. The result? A sleek, contemporary kitchen design that was perfect for Mark! 1. On its own, steel can have an uninviting appearance. But when combined with wood, it is extremely welcoming. 2. The steel counters and gleaming wood create a very modern look, adding drama to the kitchen design, while still giving the kitchen a sophisticated feeling. 3. 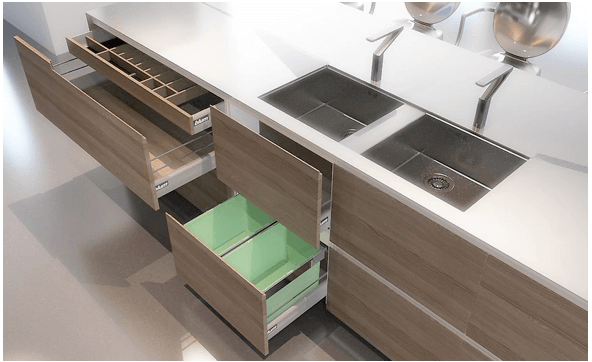 Additionally, stainless steel has a shade of light gray, which makes it neutral and allows for the addition of color pop inside cabinets or drawers even. 1. Never underestimate lighting. Be attentive to the source and amount of lighting that enters to make sure that the room becomes both comfortable and useful. 2. Choosing a white paint for the walls compliments the dark cabinets. The dark cabinets became the counterpoint for the bright white wall and the beautiful polished concrete flooring. 3. Always have a balance of light and dark textures. This enhances a kitchen design. 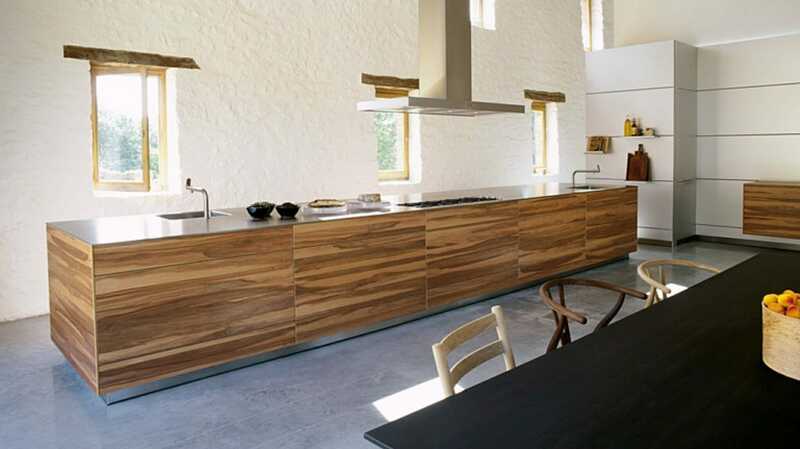 Decorilla designer, Mladen C, took all of these tips into careful consideration, offering the client a timeless and contemporary kitchen design. 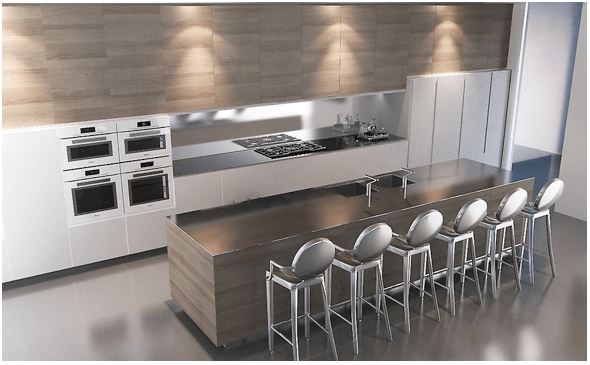 Ready to design your kitchen design online?